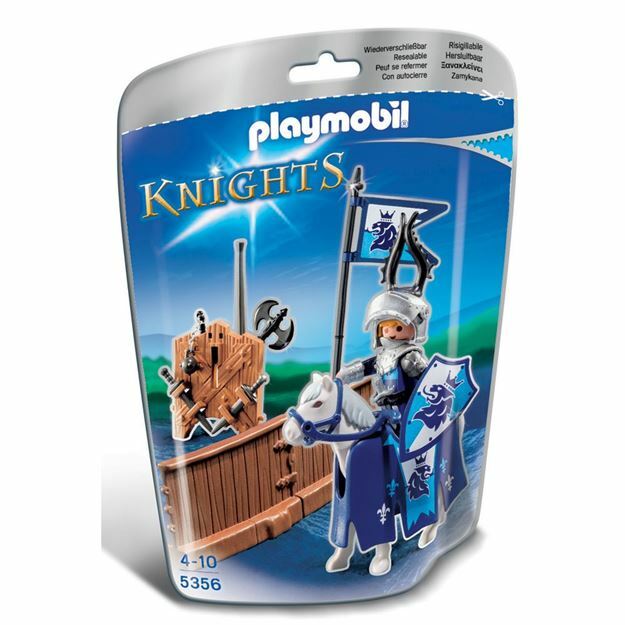 The Playmobil Lion Tournament Knight features a knight on horseback in full battle dress, with a piece of connectable tournament wall. Includes: a figure, horse, battle weapons, armour, shield and accessories. Part of the Knights range. Age 4+ years. Distributed in New Zealand by Holdson.